"The mountains of Burnsville and Asheville, NC did not disappoint the POP crew as they ventured into the heart of the Appalachians for a not-so-typical cleanup. With the thought that "all waters lead to the ocean," it is crucial to protect not only our oceans and beaches, but also our inland environments. Roughly 80% of all marine plastic debris comes from inland sources (National Geographic), and often this plastic is vectored by rivers, streams, estuaries, hurricanes, and other large rain events. The Pop crew also took advantage of our beautiful mountains! 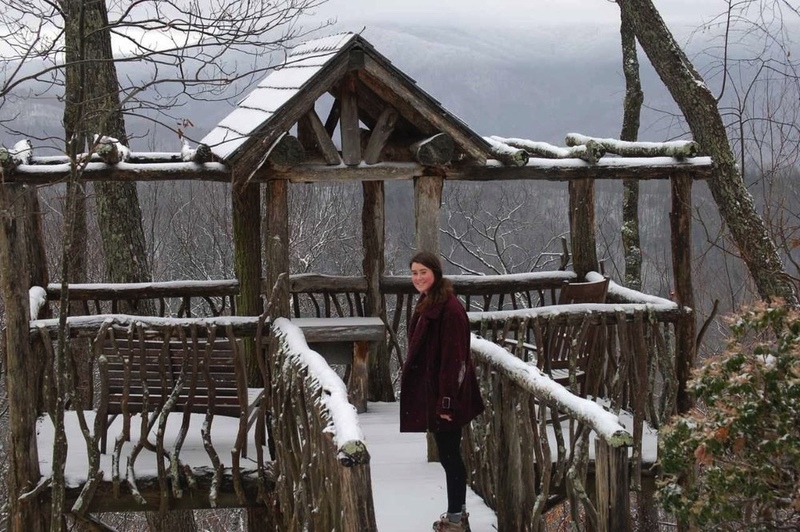 They explored some scenic (and very cold) views atop mountain peaks, visited a Native American and geology knick-knack shop, enjoyed some pizza and brews at the Asheville Pizza Co., relaxed in front of the wood-burning fireplace, and even got some snowflakes on their tongues. It was a trip well-planned for sure, and a time that was spent not only having fun, but also making an impactful and lasting effect on the places we call home."